Day 4, 2018: America’s Anchorman Returns! RUSH: Hiya, folks. It is great to be back and I know that you think it’s great that I’m back, and so it’s all great. And, here we are, we’re back, even if it is for just a couple of days. I intended to be off today and tomorrow, but the staff begged me to come back. Broadcast partners begged me to come back. Who else, taking a much-needed, two-week break, would be begged to come back when not much is going on? Me. “Okay, then. The original plan holds.” And so the harassment continued and finally here I am. And it’s great to be here. Telephone number, if you want to be on the program, 800-282-2882, the email address ElRushbo@eibnet.us. I’ll tell you what I thought about doing, and I mentioned this to Mr. Snerdley. Of course, I’m joking about not much going on. The sad thing about all this is — it’s not really sad. It’s that so much of this stuff that’s being reported I know otherwise, or I have heard enough to believe otherwise. It’s a bit of a challenge ’cause I don’t really know some of the players involved here very well. For example, Steve Bannon. I’ve mentioned this a couple times. 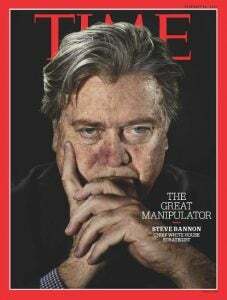 I never heard of Steve Bannon. Folks, I’m not part of the political world. I’m really not. I know people don’t believe this, but I don’t traffic in it. You know, I don’t talk to people in politics except when they want to be interviewed here or in my newsletter. That’s the only time I talk to them. I’m a nonentity in the fundraising world. And believe me, the fundraising world is politics. And I don’t like it. I don’t like being asked for money and I could never be a fundraiser, I could never call friends and people, “Do you want to donate to whatever ’cause,” cause you always have to pay it back and you always end up being obligated. But there’s something about asking people for money, I’m just — I’m constitutionally incapable of it anyway. I don’t care what the purpose is, what the cause is, I can’t do it. I’m so old school — I have to earn it. No, I’m wired with you people. I am wired with what this country is, has been, and should be. But I’m purposely not connected to any of. The first time I met Steve Bannon was with Trump, and it was at Mar-a-Lago back in Feb, almost a year ago now. And he didn’t say two words. It was Trump and Reince Priebus and me walking around Mar-a-Lago talking about things. It was about a month — I told you about this — a month after Trump had been inaugurated. And then Bannon piped up, “Good. You hear that. You hear that. Hear that?” And that was it. And then I saw Bannon again in March when we were invited to the White House for dinner. It was a Thursday night, it was March 23rd. And that date, I remember it because — well, who doesn’t remember when they go to the White House, but it was also the date that the final push for repealing Obamacare didn’t work. And during that dinner Bannon and Priebus are walking in reporting various stages of what’s going on on the Hill. We’re having dinner, it’s Vice President Pence and his wife Karen, Kathryn and me and President Trump. And during dinner they’re walking in and explaining updates with the liaison up on Capitol Hill. That’s it. That’s the extent of my knowledge of any of these people. I’ve not met the Mercers. All these people are in the news. Now, I’ve had people tell me about them. I’ve had people who do know them talk to me about them. But then if I repeat that, that’s gossip, you know, which I don’t get into. I know Michael Wolff. I saw Michael Wolff, the author of this book, at the Ailes memorial. Toward the end of his life Roger had really come to like Michael Wolff and trust him and was talking to him religiously. Yes, it’s true. And Michael Wolff at the time was working with Ailes on what was to be a forthcoming book. My memory’s somewhat sketchy, I don’t know if it’s a biography or mini-biography or what have you, but Wolff was there. I said, “Why?” Well, apparently he had reported some things about me in the past that turned out not to be true. I said, “Get in line. That’s what journalists do is get it wrong where I’m concerned.” It was a pleasant conversation and so forth. So I know all these people, but on the fringe, you know, on the periphery. And I see all this stuff happen and I’m trying to put it all together like you are. On the Wolff book, now the president’s lawyer has sent a cease-and-desist letter. That’s the best promotion a book could get! You have your lawyers send the publisher a threatening letter, “You better no publish that!” All that does is make everybody, “Whoa, what is in this sucker?” They want to go out and read it before it’s published and get copies of it however they can. So that’s the best promotion the book can have. There’s also a cease-and-desist notice to Bannon from President Trump, his lawyer, violating a nondisclosure. Bannon is all over the place. You go back to his 60 Minutes interview where he was praising Trump to the hilt and he was saying that the Russian investigation was bogus and there was nothing to it. And now in this book he’s quoted as saying that Trump and Trump Jr. were committing treason by dealing with the Russians. I never understood half of the president’s staffing. I never understood how he knew these people and ended up choosing them. And of course the answer is the fund-raising. The Mercers gave Trump $5 million. The Mercers wanted Bannon inside Trump. Trump said, okay, fine, make him strategist. I don’t know if Trump ever even met Bannon before this campaign began. Maybe. I don’t know. The stuff that Trump has done in office that he’s put his fingerprints on, that’s bang-up, that’s great guns, more of that, keep it coming. But some of this other stuff — and I’ve just chalked it up to the fact, okay, I’m not in the loop on this side of things. Purposely I have not put myself there. It’s not that I’m being excluded. It’s that I’m excluding myself. I do not want to be in the fundraiser world. By accident, I don’t want to end up there. And sadly that’s all politics is. Fundraising, bundling, donating, and this kind of thing. That’s why I have to laugh when I’m called the titular head of the Republican Party. I’ve never raised a dime for anybody, other than — I mean not in a direct sense. So, anyway, I was just telling Snerdley, you know, what do you want me to talk about, what do you want to hear my opinion on today? I was gonna ask you people to call, what do you want to hear my opinion on because there’s so much stuff out there. That tweet and the nuclear button on the desk, can you have a better illustration of how people still don’t get Donald Trump? And it’s from the entire inside-the-Beltway establishment. This thing with Trump, I’ve put some things together during the break. I’m constantly working on this, you know, trying to explain the establishment, the elites and their opposition to Trump. And what really caused my latest foray into trying to understand this is that Trump is doing pretty much everything these people say they believe in, and yet they still hate his guts. I said, so what explains that? This guy’s done more for conservatism in terms of policy implementation and action than any of them ever dreamed possible. To most of these intellectual eggheads, conservatism, sadly, has become an academic exercise. They sit around and talk about it all the time. They sit around and theorize about it all the time, while asking their donors to give them more money so they can keep writing and thinking or publishing their magazines that couldn’t make it in the free market. So they go out and they sit around and they do all that. Everything they claimed to do over the years or want is happening, pretty much. And they’re abandoning their own policy beliefs that they have been wedded to for years simply because Trump adopts them? What explains this? Class. And by that I mean social class, not behavior, but behavior’s a part of it. Taste. These are the people growing up who’ve always told us that we must be properly behaved and mannered and all this, and yet they’re the first to want to show up on Bill Maher’s show. 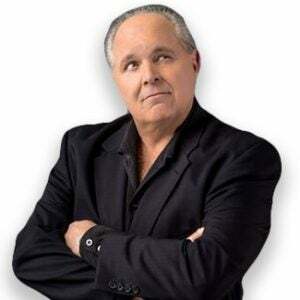 The first to want to show up on every liberal talk show where nothing but drudge and garbage, dredge, whatever, shlock is discussed, while telling us we must have the proper temperament and the proper decorum and so forth. And so that’s what outrages them about Trump. “He just has such poor taste. Look at the way he speaks, look at the way he looks, McDonald’s in bed at the White House. Ooh, ooh.” It’s just silly, inconsequential things. But it all adds up to the fact they think they are superior human beings and they simply cannot bring themselves to lower themselves to the barbaric behavioral level of Donald Trump. Even though everything they have claimed or much of everything they’ve claimed to be devoted to policy-wise is being implemented or is closer to being implemented than they ever dreamed would be possible. So the tweet — (laughing) — this little pot-bellied dictator bragging that he’s got a nuke button on his desk while half of his country is starving to death. Well, Trump says, “You know what, I got a bigger button than you. I got a button and it’s bigger than yours and it works.” And they act like the greatest insult to human dignity and the presidential regime that has ever happened. These people hang around on Twitter. They see what the sewer it is and what it’s become. And Trump and his little tweet is mild compared to the drivel that populates Twitter each and every day. What Trump said probably wouldn’t cause a ripple in your average Twitter sewer. But, no, he’s the president, he shouldn’t speak this way. I explained this once before. I got the sound bite. We went back to the Grooveyard of Forgotten Sound Bites. I’ve got it and I explained to people. Trump’s brilliant. He knows who he’s dealing with and how to reach them. And if you’re dealing with lunatics and if you’re dealing with the insane, throw it back at ’em. You know, throw a little unpredictability and lunaticism back at them. And it discombobulates ’em — and in fact it is. Kim Jong-un is confused. Kim Jong-un doesn’t know how to deal with Trump. He’s actually calling Washington liberals asking for help in translating, understanding Trump. Not recently, but he did. Now I understand that they’ve reopened a phone line connection, a hotline between North Korea and South Korea after Trump’s tweet. The stock market’s 25,000 plus. More and more companies are offering bonuses and hiring more and more people after the Trump tax bill was signed into law. The economy is set to boom in 2018 and what are the Democrats getting ready to do? Run on Trump hatred and impeachment the Mueller investigation, the dossier investigation is falling apart. The collusion… It was all about Carter Page. Everything about this was about Carter Page. Now that’s fallen apart so they have to go get this drunken Papadopoulos guy with a comment made to some Australian and now that is the primary reason that they want to look into collusion with Russia? I mean, everything they’re doing is coming off the rails. Even though they do run the rails and they can write themselves new ones. I’m talking about Mueller and his people. But I mean, it’s clear that the Steele dossier and everything about it has been phony baloney, plastic banana, good-time rock ‘n’ roller from the beginning. It’s falling apart. The collusion is falling apart. The New York Times over the weekend had to reset it and now focus on this Papadopoulos guy. 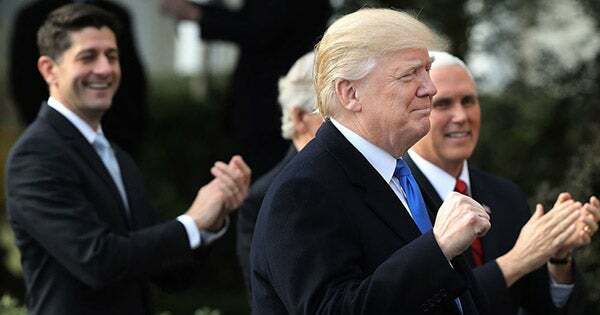 Meanwhile, a FISA warrant was probably obtained to spy on the Trump campaign on the basis of a phony opposition research document, the Hillary Clinton campaign paid for. Oh, and the Clinton… Did you notice they didn’t say “Bill and Hillary’s house,” they said “Hillary’s house” caught fire in Chappaqua? I didn’t hear any more about it. Was there much damage? Do you know? (interruption) Ohhhh, the guest room? (interruption) I wonder if Hillary had the… (interruption) What’s her name? What’s the nickname? (interruption) The Energizer bunny may be tied to the bed in there. (interruption) The guest bedroom at Chappaqua is what burned? Oh ho-ho-ho. (interruption) “Started by a short-circuit”? Right. In Hillary’s brain. Probably walked in, saw the Energizer bunny there in the guest bedroom and said, “Whoa!” Okay, so we are supposed to believe according to Michael Wolff’s book that Donald Trump did not want to win, that Donald Trump did not expect to win, that Donald Trump thought he would lose — and that was happiness. He wanted to lose. He wanted to become the most famous guy in the world, but he didn’t want to win. Melania didn’t to want win. Melania was so upset when they won on election night, she was crying. Trump had promised his wife that he would not win. None of them thought they were gonna win. This was nothing more than a giant PR promotion. We learn that Trump suffers from dementia; that he ran a listless campaign. If anything, it wasn’t listless. RUSH: So here we are, day 4, 2018. Orrin Hatch has announced he’s not running again. Mitt Romney supposedly is. Steve Bannon is calling the president’s son “treasonous.” You know what? I’m just… I’ll tell you what I’m gonna do. I’m gonna tell you everything that I heard all about Bannon’s time in the White House. I’m just gonna… Some of it’s real; some of it you might call gossip. 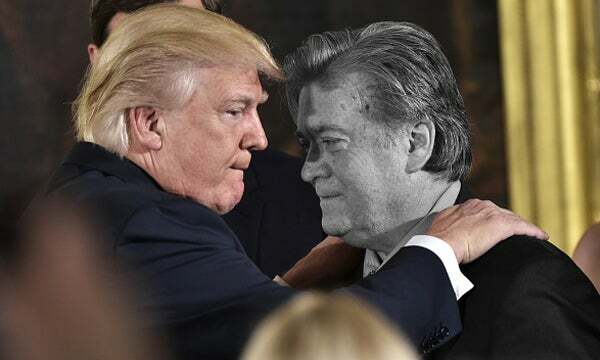 The thing that I think everybody believes and that everybody knows is that most of the leaking that was coming out of the Trump White House was Steve Bannon. Over half of it. And that’s what Don Jr. and Jared… Well, Don Jr.’s comments primarily. That’s what they’re referring to, and I have that on almost unassailable authority.